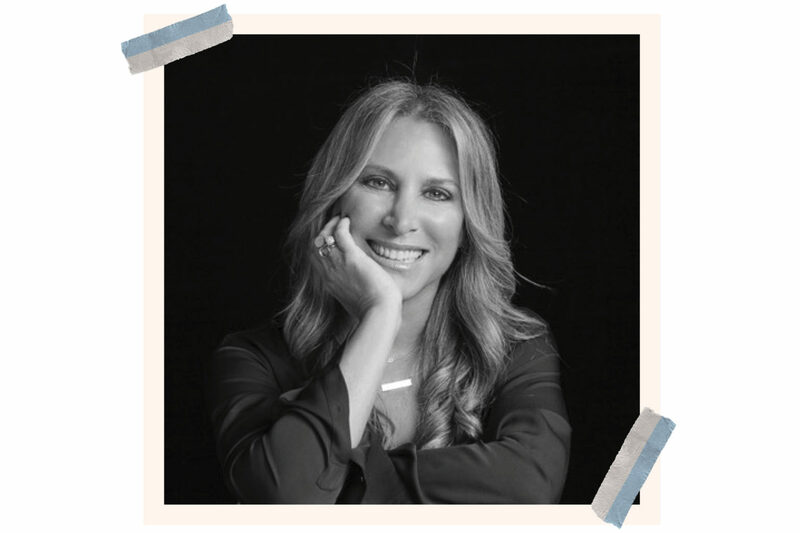 Shelly Zalis calls herself "troublemaker in chief"
Shelley Zalis is a well-known thought leader for advancing equality in the workplace. She is 56 years young and lives in Los Angeles and before founding The Female Quotient, she was one of the most respected leaders in the field of market research. Sitting down to talk with Shelley was one of the most empowering meetings of my year. Her enthusiasm for celebrating women, their talents and their differences is contagious. As The Female Quotient, we are making leaders conscious of the inequality in business today, and helping leaders become more accountable for change. We’re also working on #SeeHer, a movement that brings visibility to women doing remarkable things and holds advertisers accountable for accurately portraying women and girls. You were the only female CEO on the Top 25 list when you were running your market research company OTX. What’s it like working in that kind of male-dominated culture? I always knew that I thought differently than my male colleagues, and often got penalized for coloring outside the lines.I had to learn to own my strengths and bring my feminine values to the workplace. I realized Sarah Jessica Parker was right when she said, “Trying to be a man is a waste of a woman.” It’s time to stand out with your differences. If we were all the same, we wouldn’t be necessary. How did you come up with the idea for the Girls’ Lounge? I started the Girls’ Lounge to give back what I wished I had when I was rising through the ranks: a space for women to be themselves, for the minority to act and feel like the majority. Men are welcome because we need both masculine and feminine strengths in the workplace—by the way, both genders have varying combinations of masculine and feminine qualities. But unlike in the traditional Boys’ Club, everyone feels comfortable. What kind of advice do you have for other female entrepreneurs our age? Own it and wear it well. Wisdom comes in every age. What is a piece of advice you want every age-defying woman to know? If you love what you do, it’s called passion. If you don’t love what you do, it’s called stress. Stress only gives you wrinkles and makes your hair go gray, so erase the word “stress” from your vocabulary. Girls’ Lounge has already expanded so much – how do you see the brand growing over the next few years? Recently we launched The FQ Lounge @ Campus, a global leadership program designed to cultivate the next generation of female entrepreneurs, executives and innovators. We did it in partnership with SAP Next-Gen, which has a global network of SAP Next-Gen Labs in 116 countries. With The FQ Lounge @ Campus, we want women on campuses to experience the support of a powerful career community, and to feel inspired and motivated to become leaders before they’ve even entered the workforce. Leadership is not about age, it’s about action: we want to give the next generation of leaders the tools they need to create real change. Men never get asked about something like work/life balance but it’s a reality for working women. How do you achieve the elusive work/life balance? There’s no such thing as work-life balance, life is not that neat. It doesn’t fall into buckets. You have one life with many dimensions, which include work, family, friends, community, and—the one we always forget about—is yourself. You can’t do it all at the same time, but you can do it your way. You have to prioritize in the moment. You’re a big advocate of acknowledging that women bring different qualities to working than men. Can you talk a little bit about that? I think women bring heart to the table, which translates into passion, emotion, caring, empathy, the soft skills needed for business today. What’s really interesting is those are all characteristic of caregiving, and those are needed for the best leaders today. How can we create work environments that celebrate and support those differences, instead of discouraging women? We need to create cultures of care where everyone feels like they belong regardless of gender, race, age, or sexual orientation. Gender equality is not a female issue, it’s a social and economic imperative. It requires developing a conscious mindset for equality and understanding that we are better together. What are you most excited for in the upcoming year? Opening permanent The FQ Lounge @ Campus in 116 countries through our partnership with SAP Next Gen. It will open the pipeline for corporations to hire entry-level women. The world looks at aging, and women in particular, in a way that doesn’t necessarily reflect the way we might see ourselves. How do we change the conversation around aging? How do we own it? Age is a mindset. Embrace every age for the new opportunities it brings. Talkin’ Tees, which are part of The Confidence Collection, our interactive line of t-shirts and jewelry that unlocks career advice and donates proceeds to nonprofits supporting women. A great hostess gift is a cake platter with a dome, with a beautiful element of surprise that includes homemade chocolate chip cookies inside—with lots of chocolate chips. I watch movies on airplanes, get a facial when my face feels tired, a massage when my feet are aching and I go to SoulCycle with my girlfriends. Multitasking on steroids and being time zone agnostic (meaning I don’t get jet lag). Black jeans, high heels, a long black top and a little blazer.